The 737 MAX on one of its test flights. Photo: Boeing. Boeing has completed the last official engineering flight test of updated Boeing 737 MAX software update prior to a certification flight with the US Federal Aviation Administration. 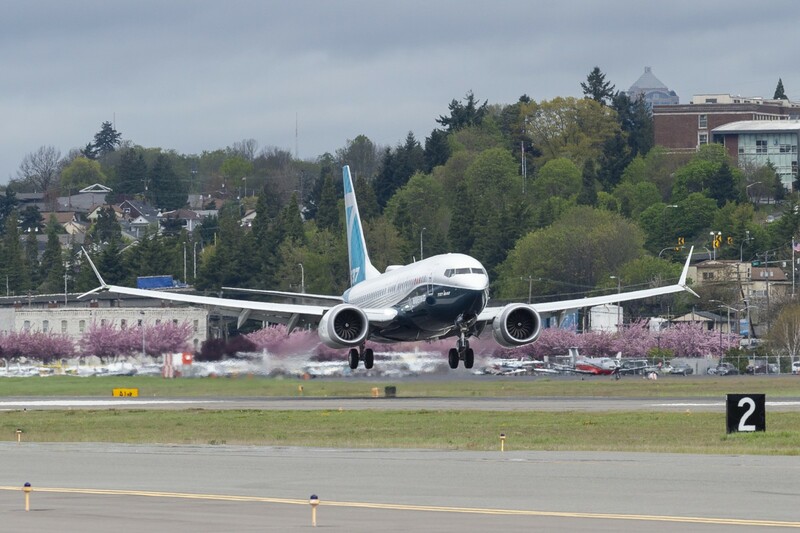 Boeing chief executive Dennis Muilenburg said the company's test pilots on April 16 completed 120 MAX flights totaling more than 203 hours of air time with the updated maneuvring characteristics augmentation system software. "We're making steady progress towards certification,'' he said in a tweet. "Yesterday we completed the official engineering flight test of the updated software with our technical and engineering leaders on board the airplane. Muilenburg said he had completed a demonstration flight and had seen first hand the software in its final form "operating as designed across a range of flight conditions". "And around the world, more than 85 percent of 50 plus MAX customers and operators have now experienced the new software through a series of simulator sessions." The Boeing boss said a team of Boeing pilots, engineers, technical experts and the company's partners had comprehensively tested the software to make sure it did the job. "And they're taking the time to get it right,'' he said. "Safety is our responsibility - e own it - and the work of our team will make the &37 MAX one of the safest airplanes ever to fly. The aircraft manufacturer now has to convince the FAA and other regulators around the world that the software fix and related training changes mean the MAX is safe to fly again. Equally importantly, it has to persuade the flying public that its commitment is not just another example of the spin they have come to expect from big corporations. That will require open and comprehensible explanations of what the company has done to ensure there is no repeat of October's Lion Air crash and last month's Ethiopian Airlines tragedy. This is despite the fact that air safety investigators from both countries have yet to identify probable causes for the crashes and may not have done so by the time it returns to service. In both cases, it is likely to be a chain of events in which MCAS played a part but was not solely responsible for the end result. A number of chief executives from airlines operating the MAX have expressed confidence the company's software fix will ensure the plane is safe. But comments by Canada's Transport Minister on Thursday about proposed changes to MAX training suggest the road to redemption may have a few potholes. Airbus has not been immune to the consequences of spurious air data, and unexpected incidents illustrate the difficulties designers and regulators face in predicting and avoiding unintended aircraft behaviour. Grounding of the Boeing 737 Max followed two fatal accidents involving unreliable angle-of-attack information and persistent automatic nose-down response from the pitch-control system. Airbus types have experienced serious issues which appear superficially similar to those affecting the Max. But some crucial considerations, centred on the Airbus design and time in service, have resulted in far less disruptive regulatory intervention. Shortly after an Eva Air A330's departure in 2012 it suffered an angle-of-attack sensor jam, at 5°, as it climbed through 11,000ft. Although the angle was shallow, angle-of-attack margins become narrower, increasing the risk of stall, as an aircraft climbs and its Mach number increases. When the A330 reached an altitude at which this false angle-of-attack data exceeded a critical threshold, the aircraft's stall-protection mechanism responded by automatically commanding nose-down. Investigation of the incident revealed that not only could the flight-control laws command a nose-down pitch, but pilots might not be able to counter the attitude - even if they pulled fully back on the sidestick. The incident spurred an emergency change of procedures, instructing crews to turn off air data reference instruments if symptoms of a sensor jam emerged, or if the aircraft entered an "unmanageable pitch-down attitude" despite full-aft sidestick inputs. Analysis of the A330 incident pointed to the possibility that conic plates on which the angle-of-attack sensors were mounted had contributed to icing and a subsequent blockage. Jamming of two or three sensors at the same angle could cause the stall-protection system to activate, investigators stated. Operators were instructed, in early 2013, to replace the conic plates with a flat-plate mounting for the sensors. But a similar incident, in November 2014, involving a Lufthansa Airbus A321 climbing out of Bilbao underscored the difficulties in anticipating misbehaviour. Two of the A321's angle-of-attack sensors froze at a position of 4.5° as the jet passed 19,500ft. It continued to climb but, as it reached 31,000ft, the crew observed airspeed discrepancies and switched off the autopilot, bringing the aircraft under manual control. The A321 abruptly pitched 3.5° nose-down because, at the speed of M0.675, the jammed sensors were incorrectly showing an angle-of-attack greater than the 4.2° threshold for the stall-protection system. With two of the three angle-of-attack sensors jammed at a consistent, albeit wrong, position the A321's air data reference system eliminated the apparently spurious readings from the third sensor. As a result the elevator aileron computer - which controls pitch through the elevators and horizontal stabiliser - took into account only the two incorrect sensors. The aircraft entered a 4,000ft/min descent and the captain was only able to restore and maintain level flight by pulling fully back on the sidestick. Manual nose-up trim was unavailable. Control was eventually regained through measures which led the aircraft to revert to alternate flight law, disengaging the stall-protection system. Investigators discovered, in the wake of the incident, that the A321 was not fitted with the conic sensor plates suspected in the A330 event, but conventional flat plates. Water ingestion was considered a contributor. Airbus and the European Union Aviation Safety Agency warned A330 and A320-family crews that, if Mach number continued to increase during a nose-down command, the angle-of-attack threshold for activating stall-protection would continue to decline - resulting in further nose-down orders from the flight-control system. Pilots were issued with new emergency procedures which instructed them to turn off two of the three air data reference units, forcing the reversion to alternate flight law, if they observed symptoms of jammed angle-of-attack sensors. There are crucial differences between the events that occurred on the Airbus jets and those preceding the 737 Max accidents, argues EASA. "While the Airbus events were caused by multiple failures of the angle-of-attack system, the 737 Max issue seems to be caused by just one only faulty sensor, thus presenting a higher probability risk," it says. "The crew of the Airbus aircraft were able to recover control of the aircraft by switching to an alternate flight-control mode and the aircraft landed in a normal way." EASA points out that, although the 737 has evolved over five decades, the 737 Max is "still a young aircraft model" with relatively time since service entry in 2017. "Before these [Airbus] events occurred, the Airbus aircraft models had accumulated a significant number of flight hours without any such issue, allowing certification authorities to perform a comprehensive and robust continued airworthiness review," it adds. Simultaneous jamming of two angle-of-attack sensors, and the rejection of a valid third, had previously led to the fatal crash of an A320 during a check flight at Perpignan in November 2008. Water ingested by the sensors, left unprotected during routine washing, froze as the aircraft cruised at 32,000ft. The sensors jammed at low angle-of-attack settings - respectively 4.2° and 3.8° - and maintained these readings as the crew conducted the descent. As a result the sensors were rendered inoperative and failed to detect the A320's increasing angle-of-attack when, as part of the check flight, the crew deliberately reduced airspeed at low altitude to test the stall-protection system. The aircraft slowed and the horizontal stabiliser trimmed nose-up but the protection system did not activate. "The crew waited for the triggering of these protections while allowing the speed to fall to that of a stall," the inquiry by French investigation authority BEA found. When the aircraft stalled, the crew increased thrust, and the stabiliser's nose-up position caused the A320 to pitch up. The crew failed to recover from the stall, which occurred at about 3,000ft; the jet lost height and crashed into the Mediterranean Sea. EASA describes the high-incidence protection system on the A320 and A330 families as "robust", noting the inclusion of three angle-of-attack sensors compared with two on the 737 Max, normally enabling voting logic to eliminate a single erroneous reading. It adds that the Airbus has "enhanced" monitoring and surveillance of the sensors. "Safety risk assessments are performed using a methodical approach that accounts for the severity of the potential consequence, the available mitigations - such as crew procedures - and the probability of the root cause to [occur or recur]." All these considerations, it says, resulted in the differences in regulatory reaction and mandatory actions in the Airbus and Boeing cases. Seven weeks before the Perpignan crash an upset involving an A330 in cruise exposed the virtual impossibility of certification testing every possible scenario involving flight-control response to corrupted air data. The Qantas aircraft, operating at 37,000ft, experienced a sudden failure mode in one of the three air data inertial reference units, which started transmitting invalid and frequent spikes in angle-of-attack information. While the data was invalid the system did not flag it as such. The aircraft's flight-control primary computer abruptly pitched the aircraft 8.4° nose-down, throwing almost all the unrestrained occupants to the ceiling. Over a third of the 315 people on board sustained injuries. The precise mechanism for the data spikes could not be determined, and the Australian Transport Safety Bureau attributed the event to a "single, rare type of trigger" combined with a "marginal susceptibility" within the air data unit's central processor. Just three occurrences of similar data-spiking had occurred in 128 million hours of operation with the Northrop Grumman units, two of which involved the one fitted in the Qantas aircraft. Analysis determined that the occurrence was the only known instance in which the design limitation had led to a pitch-down command in over 28 million flight hours on A330s and A340s - a rate which complied with the criteria for events classified as 'hazardous' but not 'catastrophic'. Investigators pointed out that the flight computer's algorithm's were "generally very effective" and could handle "almost all possible situations" involving incorrect angle-of-attack data, adding that the design limitation was "very unlikely" to have led to a more adverse outcome. Development of the A330 flight-control system involved "many elements to minimise the risk of a design error", including peer review, a system safety assessment, testing and simulation, none of which identified the limitation in the algorithm. "Due to the wide range of potential inputs into a complex system...simulation and testing programs cannot exhaustively examine all the possible patterns of inputs," says the inquiry, stating that the testing activities for the flight-control computer "would not realistically" have included the multiple data-spike scenario. Airbus nevertheless redesigned the angle-of-attack algorithm to prevent a recurrence of the Qantas incident, and improved the flight-control computer to enhance its ability to detect multiple angle-of-attack sensor blockage. The A330 and A321 blockage incidents led EASA to order removal of specific angle-of-attack sensors and their replacement with less susceptibility to adverse environmental conditions. Airbus also developed upgrades to the elevator and aileron computers, introducing improved sensor monitoring for the A320 family and later incorporating "flight control aspects" for the A320neo family, says EASA. The area in red is where a city worker at O'Hare Airport was driving a city vehicle on a runway as an American Airlines jetliner was landing. With construction underway on another O'Hare Airport runway, the Chicago Department of Aviation has been taking extra steps to keep contractors unfamiliar with the airfield's labyrinthine layout of takeoff and landing strips, taxiways and tunnels from accidentally driving onto where planes are arriving or departing. Among the safety measures: stationing city workers in trucks at key airfield intersections to block ground vehicles from blundering onto an active runway. One of the workers assigned to ensure runway safety was involved in a runway mishap on April 2, when he drove a city vehicle onto a runway as an American Airlines jetliner was landing. Officials say the plane was slowing, and no one was hurt. But it was the latest in a string of potentially serious runway mishaps at O'Hare. It happened days after the Chicago Sun-Times reported there have been 62 runway "incursions" in fiscal years 2017 and 2018 and so far in 2019. A dozen of those incidents involved city workers subsequently accused of violating safety protocols by driving vehicles into active takeoff and landing zones, according to records obtained by the Sun-Times and interviews that also revealed the workers typically faced little punishment. Chicago Aviation Commissioner Jamie Rhee initially would not say whether the April 2 mishap involved one of her employees. Later, Rhee - a Mayor Rahm Emanuel appointee whose department oversees Midway Airport in addition to O'Hare - acknowledged the driver works for her agency. The worker was handed a five-day suspension, his airfield driving privileges were suspended, and he was ordered to undergo additional training, records show. Rhee wouldn't provide details about what happened, saying it remains under investigation by the Federal Aviation Administration. But a source knowledgeable about the situation told the Sun-Times the foul-up occurred when the worker was driving to relieve a colleague parked on a taxiway north of Runway 27-Left - an active east-west strip north of O'Hare's terminals. The parked city vehicle was there in part to keep out traffic from workers involved in a $95 million construction project that includes repaving nearby Runway 4-Left, which is closed to planes during the work. It's not clear where the relief driver entered Runway 27-Left. But he did so without permission from air-traffic controllers and soon found barricades kept him from getting from Runway 27-Left to his colleague on the taxiway, the source said. "He drove out, then realized, 'Holy s-, I can't get through,' " according to the source, who said the driver tried to find another way off the runway. The American Airlines jet, coming in from Atlanta, touched down from the east and at one point was rolling toward the city vehicle. The plane "was on the runway at the same time as the city vehicle," the source said. A KLM Boeing 777-200, registration PH-BQD performing flight KL-621 from Amsterdam (Netherlands) to Atlanta,GA (USA), was enroute at FL340 just logging into Shannon Control, when Shannon Control wanted to clear the aircraft to climb to the flight level assigned for the Oceanic crossing, the crew however responded to stand by subsequently deciding to return to Amsterdam due to a hydraulic failure advising the direction of the turn (left or right) didn't matter, no emergency was declared or priority requested. The aircraft returned to Amsterdam for a safe landing on runway 36R about 2.5 hours after departure and towed to the apron. Emergency services were informed the aircraft was landing with a hydraulic failure, the crew suspeted a bird strike on departure from Amsterdam's runway 24. A Perimeter Aviation de Havilland Dash 8-300, registration C-GLKY performing flight PAG-663 from Winnipeg,MB to Sandy Lake,ON (Canada) with 28 passengers and 3 crew, returned to Winnipeg when shortly after takeoff the crew received a lavatory smoke indication shortly followed by the smell of smoke. The crew declared emergency and performed a safe landing back at Winnipeg. The Canadian TSB reported maintenance found a leaking seal at the right hand engine's (PW123) compressor, "that introduced oil into the engine bleed air system." The aircraft was removed from service and the engine was replaced. 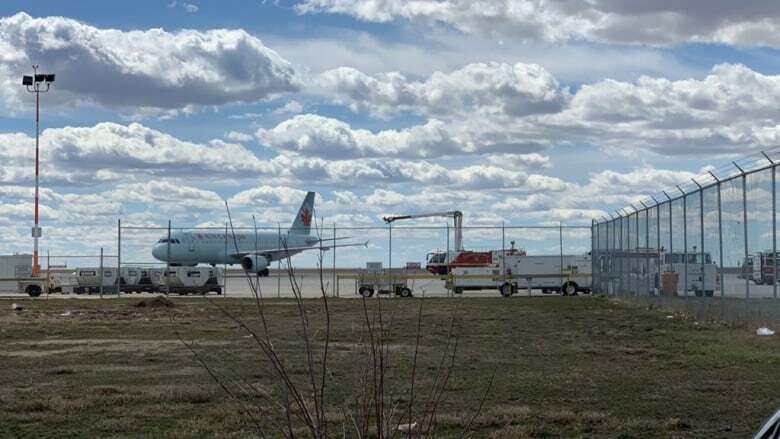 A flight from Vancouver to Winnipeg was diverted to Regina on Thursday after smoke was seen on board. "We are very happy to report that the aircraft did land safely on our main runway and was able to taxi on its own power to the terminal building," said James Bogusz, president and CEO of Regina Airport Authority, adding that all 146 passengers aboard disembarked safely. The pilot declared an emergency after smoke was seen coming from a galley oven, according to the airline. The Regina airport was notified of the need for a landing just before 1 p.m. CST., with the plane landing at about 1:15 p.m., according to Bogusz. Emergency crews were on site prior to the landing. Air Canada provided food for the customers and is dispatching another aircraft and crew to Regina to complete the flight, which it says will be six hours late arriving to Winnipeg. The airport authority says all other flights at Regina are operating as normal. The aircraft impacted airport terrain and a subsequent fire ensued during a takeoff attempt at Fullerton Municipal Airport (KFUL), Fullerton, California. The airplane was destroyed during the accident sequence and the sole pilot onboard received fatal injuries. The passengers were detained for questioning. Three passengers on a flight in Russia opened the emergency exit and climbed out onto the wing of a Boeing 737 after they spotted flames coming out of one of the plane's engines. Cabin crew assured the passengers this was "normal," according to the Independent. The Utair flight was scheduled to leave Moscow's Vnukovo International Airport and was bound for Makhachkala, in the southwest of Russia. The Boeing 737 was taxiing along the tarmac when passengers spotted flames coming out from underneath one of the wings. One took a video in which a flight attendant can be heard delivering a safety speech over the loudspeaker. Panic ensued as passengers rushed out of their seats when they spotted the flames. Three passengers - two men and a woman - seated in the emergency exit row opened the door and climbed out onto the wing of the plane. "This was an ordinary situation, the plane was in order, passengers were in no danger," a spokesperson for the airline told Russia's RBC news. The spokesperson said the flames were caused by a disrupted air flow when the engine turned on, according to The Independent. A disrupted airflow is indeed a reason that flames may come out of an engine. This doesn't necessarily mean that the engine itself it on fire. It could just be excess fuel burning off. The three passengers who attempted an escape were detained for questioning. They said they had been following the airline's safety instructions when they stepped out. "When the panic started, when people started to run, squashing each other, when they began screaming and yelling, in order to pacify them and to stop the panic we opened the emergency exit," one of the passengers told The Sun. As we all know, ARFF is a highly specialised discipline of the fire service. An aircraft accident presents itself with lots of unique hazards which threaten the aircraft occupants, the community, the environment and the emergency responders. ARFF crews must respond quickly and with precision to minimise loss of life, injuries and dangers. We know that we have limitations on the resources in the first response and that the success and preformats of the first attack are essential for a successful outcome. Water rescue events are no exception. Fortunately, serious water accidents are rare, but there will always be a need to perform better in the future if possible. Training flight crews and airport firefighters for these events is extremely important and the right training is essential. Sharing knowledge is one of the cornerstones of the Copenhagen Airport Rescue and Firefighting Academy. This is important when it comes to developing better training programmes. 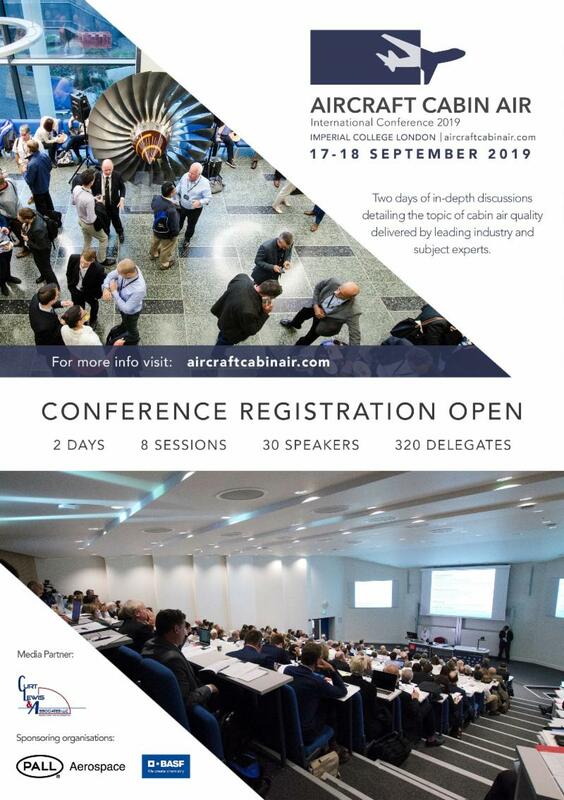 Being involved in organisations like the Airport Rescue Fire Fighting Working Group and the International Aviation Fire Protection Association makes it possible to share this knowledge and to learn from others within this sector of the aviation and firefighting business. In 2013 the International Airport Water Rescue Working Group (IAWRWG) was founded with the purpose of sharing knowledge and to work out recommendations for the ICAO RF working group. This working group is chaired by Cletus Packiam, Chief of Airport Emergency Service (AES) at Changi Airport Group in Singapore. This working group is very dynamic and includes representatives from Changi Airport, Airservices Australia, Auckland Airport, Boston Logan Airport, Phuket Airport and Copenhagen Airport. 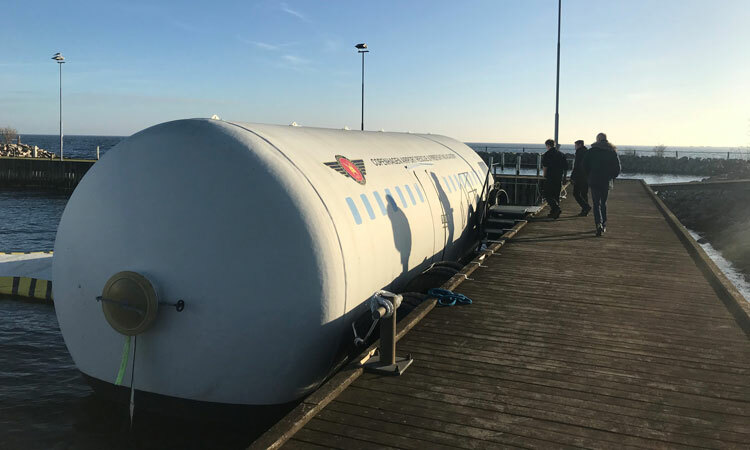 Inspired by work done within the IAWRWG, Copenhagen Airport Rescue and Firefighting Academy (CARFA) began to look at how airports and airlines trained for emergencies involving aircraft accidents in water. This started a new way of looking at what our tasks are. For the past three years, CARFA has been working on and creating improved and more realistic training based on information gathered from case studies from the U.S. Airways A-320 emergency landing on the Hudson River and the Lion Air Boeing 737 accident in Bali. These accidents have made us focus more on the rescue rather than the search aspect of our training. 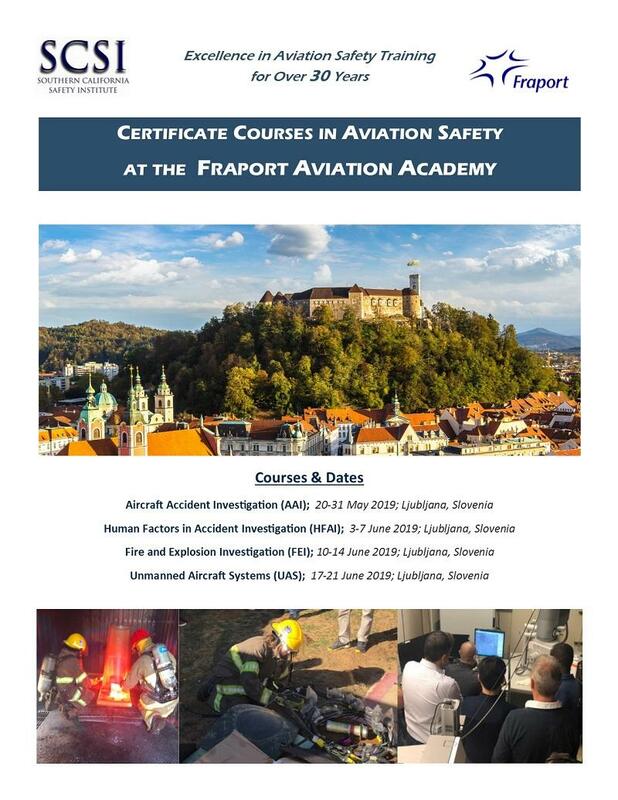 It is from lessons learned that CARFA is committed to developing new and better training for flight crews and airport firefighters. At the third annual International Airport Water Rescue Working Group meeting at a joint ARFFWG and IAFPA conference held in May 2017 at the Copenhagen Airport, our new Aircraft Water Rescue Simulator was presented. A practical exercise that included ideas to improve actual training content and training methods were presented at this event. One of the participants, an In-Flight Training Instructor for Frontier Airlines, Kitsy G. Sorensen, commented: "I want to take a moment to tell you what an impact the Future Aviation Safety Conference, especially the water mock-up, had on me. As a flight attendant and an in-flight instructor, nothing could have prepared me for the feeling that I experienced standing alone on the wing of your water mock-up, nor the sound of the water sloshing under the floor of the cabin trainer. Those two moments will never be lost in my instruction to flight attendants. I wish I could put into words what a riveting moment both were. 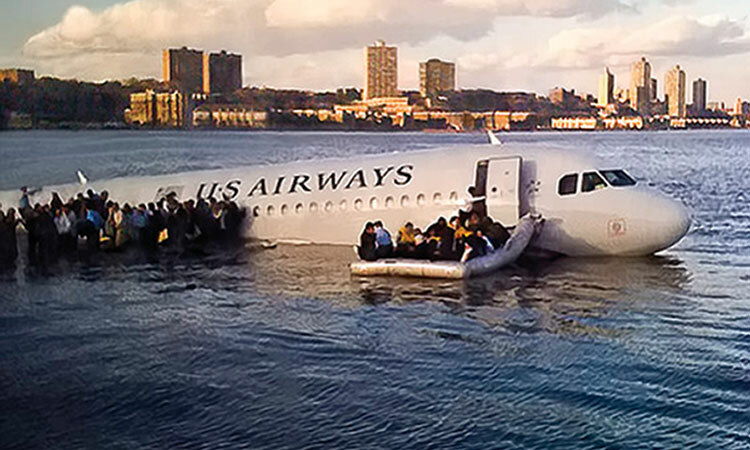 It's so easy on paper or in the media to talk about events like the U.S. Airways water landing on the Hudson River. It's another thing to "experience" a moment in time that makes you realise how it might have felt. "I cannot thank you enough for bringing such a huge project together and sharing it with the world. I am so grateful that I was privileged to be one of the people with whom you shared it. Thank you for all the times that the project looked like a dream, all the problems that had to be solved to bring it to fruition. It is this vision that will give men and women an opportunity to practice this rescue and behalf of one of them, please receive my gratitude. It was a great conference with many benefits to be assimilated in our in-flight training. Thank you so very much!" Today we have completed the work on a Basic Airport Firefighters Water Rescue Course. Everything tested, all safety issues and all approvals are taken care of in house and the first course is scheduled for April 2019. 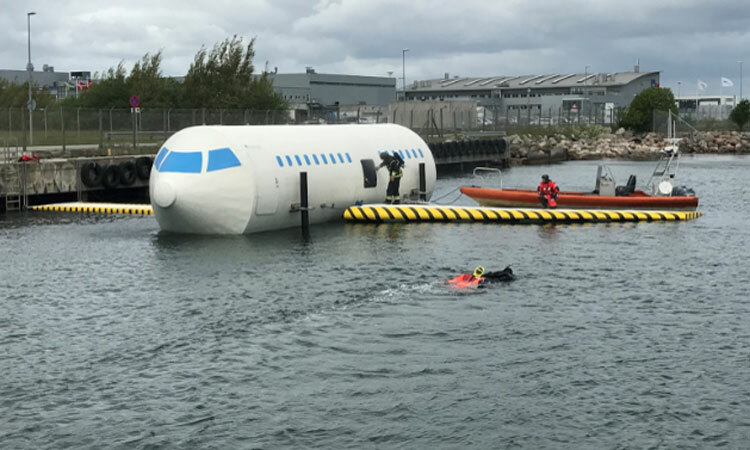 A series of test courses (water rescue drills) with Scandinavian Airliners have been completed and we agreed to complete a number of these drills for their Airbus 319, 320 and 321, which started in January 2019 (cold weather conditions). The UK Travel Retail Forum (UKTRF) - one of the original aviation industry partners behind the UK's One Too Many campaign - has praised new initiatives from the European Union Aviation Safety Agency (EASA) and the council of Calvia in Spain which are focused on educating travellers on the consequences of drunken behaviour in airports. UKTRF's government-backed One Too Many campaign, in partnership with the Airline Operators Association (AOA) and the International Air Transport Association (IATA), began with a summer stint across 10 airports in the UK which grew to 14 as educating passengers on the potential penalties became more popular. 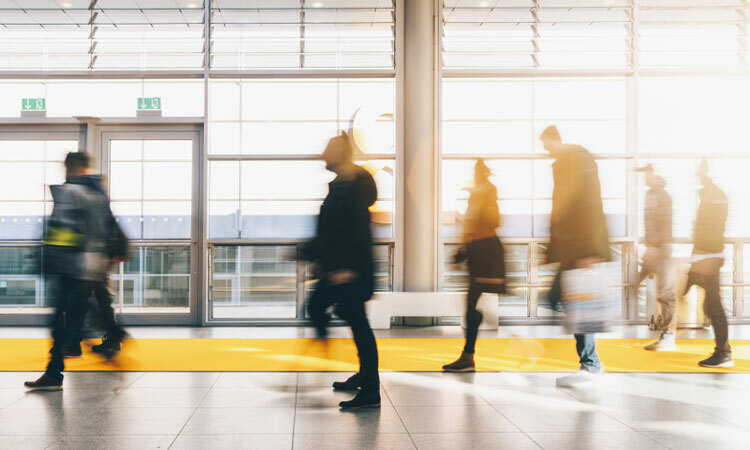 It ran alongside individual airport initiatives to contribute to a drop in disruptive passenger incidents in 2018 despite the fact 292 million passengers travelled through UK airports, setting a new record for overall passenger numbers. The decrease was evident at a national and local level with Glasgow Airport reporting a 52 per cent decrease in outbound alcohol-related offenders and Greater Manchester Police reporting a 23 per cent reduction in incidents for Manchester Airport which will be amongst the busiest in the coming weeks, with almost two million expected to use it over the Easter holidays. The new campaigns come as over three million holidaymakers will fly from Britain's airports due to the late Easter weekend. Many will also use the Easter weekend to plan their summer break, with airports looking ahead to another busy summer period. With support from the British Consulate in the Balearic Islands, authorities in Calvia have launched an awareness campaign entitled Return Trip to reinforce the dangers of 'mixing alcohol with fun'. The campaign website is complete with downloadable images for organisations such as clubs and bars to use and includes a video reinforcing the message about excessive drinking. Return Trip was first discussed at a conference in Palma also attended by UKTRF, where travel industry figures gathered to debate and discuss alcohol and airside related incidents as well as how to tackle party venue and hotel-related problems. It comes to public fruition as EASA launches its own 'Not on My Flight' campaign which like One Too Many shows zero tolerance against unruly behaviour airside and onboard a flight. Francois Bourienne, Chair of the UK Travel Retail Forum, commented: "The Civil Aviation Authority (CAA) released figures displaying the drop in disruptive passengers in light of the efforts of the industry to enhance public awareness of the consequences of disruptive or disorderly behaviour. We also saw the One Too Many 2018 campaign highlighted by the government as best practice of the industry coming together to combat the issue. "Our approach has always been that education and prevention events from several partners working together will continue to minimise the issue. We are delighted that this is recognised as a driver of behavioural change and that new campaigns involving travel industry stakeholders have launched, so that passengers are reminded of the consequences of their intoxicated actions from the airport to the beach bar. "There have been recent examples of disruptive passengers jailed or heavily fined for their behaviour on board flights. We call on all our partners including individual airports, airlines and retailers to continue their education initiatives and to make sure offenders face the penalties to maintain the safest flying environment possible for all passengers as we move into a busier flying period." The School of Aviation Science at Irving High School is among the best career and technical education (CTE) programs in the nation! Last week, the program was named one of eight winners - the only from Texas - in the prestigious Excellence in Action award, which recognizes the best CTE programs of study across the country. "The programs of study that we are honoring share a steadfast commitment to the highest expectations for CTE," says Kimberly Green, Executive Director of Advance CTE. "This dedication to quality and equity ensures each learner has access to opportunities that prepare them for future success in their education and career of their choice. Today's honorees serve as national models of what high-quality CTE looks like and can achieve." The School of Aviation Science received the award in the Transportation, Distribution & Logistics Career Cluster® from Advance CTE as a result of their commitment to preparing learners in a high-demand sector through real-world, hands-on experiences, industry-recognized credential attainment opportunities and dual enrollment offerings. Last year, all learners graduated high school, and 94 percent enrolled in postsecondary education. 60 percent of learners in the program also earned an industry-recognized credential. "The aviation industry is an economic driver for the Dallas-Fort Worth metro area, and Irving ISD's School of Aviation Science is preparing learners to meet the ever-growing need for pilots and aviation techs through our programs of study," says Shawn Blessing, Director of Signature Studies for Irving ISD. 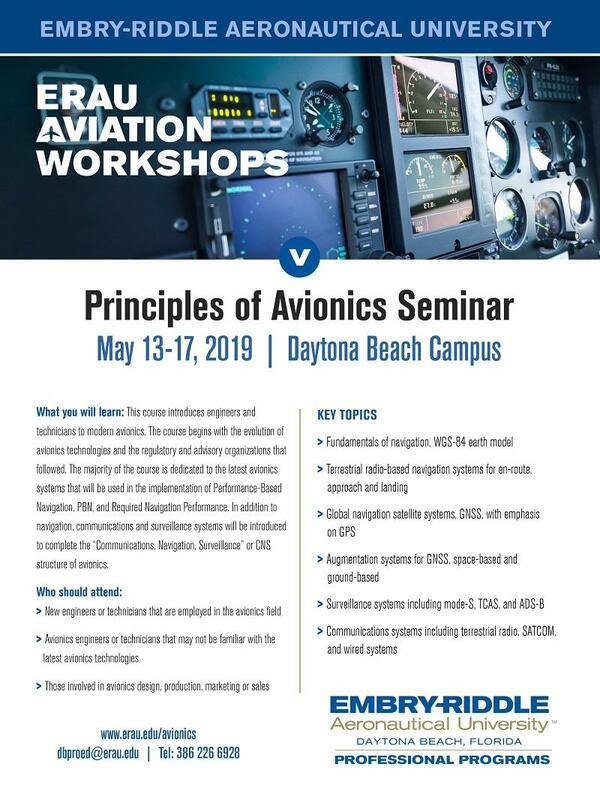 "Because of our location, our students have the opportunity to learn from industry experts and see equipment and facilities first-hand through our partnerships with leading companies in the aviation industry. Learners graduate from high school prepared with all of the information they need to reach their goals as pilots or aviation techs." Profiles of each winner are available on Advance CTE's website. This is Irving ISD's third Excellence in Action award. The School of Law and Public Service at Singley Academy won in 2014 and the School of Culinary Arts and Hospitality at Singley won in 2017. 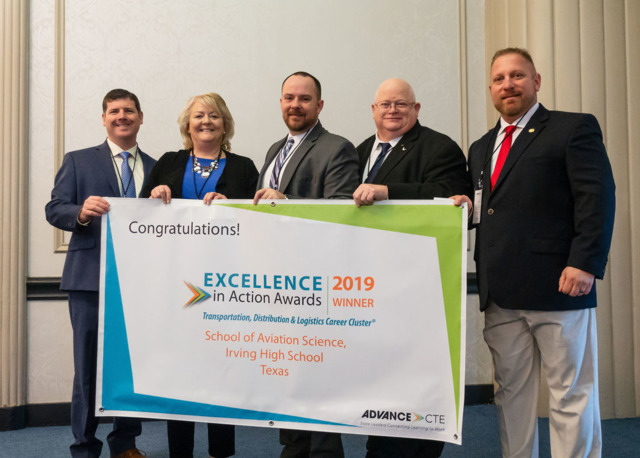 Irving ISD is the only district in the nation to have won three Excellence in Action awards, and this award is the only national recognition for outstanding CTE programs. 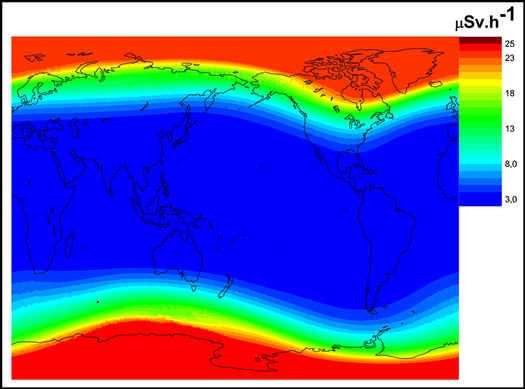 A new study quantifies how space weather may affect polar transcontinental flight. These intense events, known as ground level enhancements (GLEs), are potentially hazardous for aircraft electronics and passengers, particularly those flying over the poles, where there is less protection from Earth's magnetic shield. In a new study, Mishev and Usoskin calculated the radiation levels passengers would be exposed to during a typical commercial flight over the pole, simulating the radiation levels present throughout a GLE. When solar particles hit Earth's atmosphere, they induce nucleonic-electromagnetic-muon showers and cause an increase in secondary particles bombarding the ground and detected by the Global Neutron Monitor Network, a system of ground-based monitoring stations around the world. When such an increase is recorded simultaneously by at least two monitors and a spaceborne probe, a GLE alert is set. To determine how much radiation commercial airline passengers and crew are likely to be exposed to during a GLE, the team examined data from one such event, which occurred on 10 September 2017. 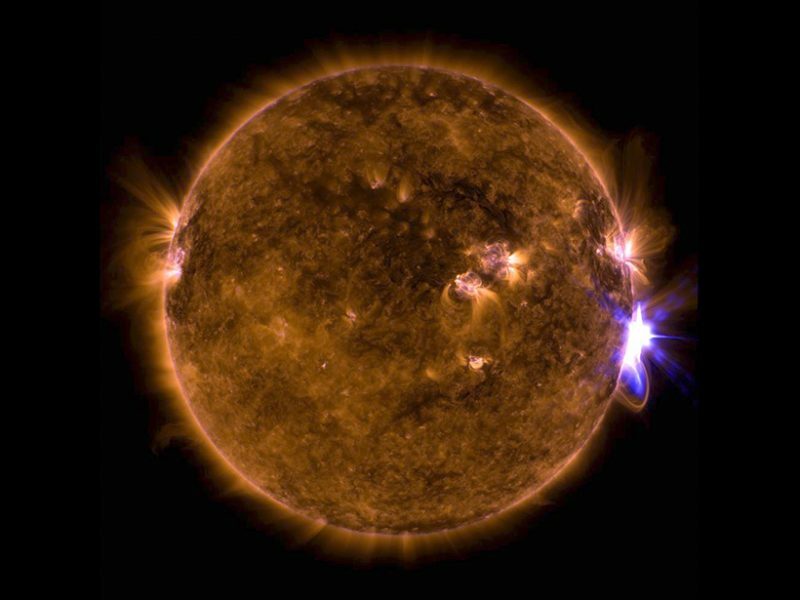 During the week leading up to that date, several solar flares and CMEs were observed, and a flare with a CME on 10 September triggered a globally observed event called GLE 72, detected by the monitor network. Using the network's data, the team modeled likely radiation exposure during two transcontinental polar flights at several cruise flight altitudes ranging from 30,000 to 50,000 feet (about 9 to 15 kilometers). Modern submarines deep underwater arguably have better situational awareness than today's drone pilots. Research has demonstrated that small unmanned aircraft are all but invisible from manned cockpits for collision avoidance purposes, and even manned aircraft are difficult to see from the ground with time left to give way. These are among the facts AOPA considered when commenting on landmark changes to Part 107. Drone retailers have become a common sight at manned aviation events like Sun 'n Fun International Fly-In and Expo, where more than one vendor made their pitch in April. Jim Moore photo. AOPA Senior Director of Airspace, Air Traffic, and Aviation Security Rune Duke noted in the association's formal responses to a pair of rulemaking initiatives proposed by the FAA that freedom to fly for all is among our top priorities. That includes the hundreds of thousands of manned aircraft pilots among our membership; the tens of thousands who fly small, unmanned aircraft as well; and thousands of members who are Part 107 remote pilots only, who joined after AOPA first extended a membership offer to those who fly only drones in February 2017. AOPA has since become one of the world's largest organizations of unmanned aircraft pilots as well as more traditional aviators. Duke noted that AOPA has long been active in efforts to safely integrate unmanned aircraft in the National Airspace System, and participates in a variety of collaborative regulatory and safety initiatives. Duke wrote the association's response to an advance notice of proposed rulemaking seeking comments on current and future operational limits, along with comments on a notice of proposed rulemaking that would allow unmanned operations at night and over people without a waiver, provided certain performance-based standards are met. The FAA announced both rulemaking actions in January, inviting comment by April 15 on the ANPRM as well as on the NPRM, making clear the agency's view that any new expansion of allowed drone operations also depends on establishing rules and standards for remote identification and tracking of unmanned aircraft. Ongoing research by Embry-Riddle Aeronautical University, Oklahoma State University, and Kansas State University, among others, has produced a growing body of evidence and data that make it clear "see and avoid" remains a huge challenge for human eyes, day or night, with or without strobes, even when manned aircraft pilots are told in advance where to look for the drones flown in a series of real-world trials. One study published in 2017 found that ground observers were able to reliably detect manned aircraft at a distance of about 1,600 feet or more, though participants did not perform well when estimating intercept time and distance. "During 26 of the intercepts, participants overestimated the available duration to the aircraft-sUAS intercept; and, underestimated the duration during 11 of the aircraft-sUAS intercepts. The mean estimation error was determined to be 17 seconds," the authors wrote. "Given the relatively short intercept time from when initial visual detection is made, any further delay incurred from overestimation may not leave the remote pilot adequate time to react to evade a collision threat." Embry-Riddle professor Ryan Wallace, among the authors of this and related research published so far, said human vision is even less likely to detect and correctly identify a small drone from the cockpit of an aircraft in flight. Flight crews were unable to reliably detect small drones until they came within about 500 feet of the sUAS in real-world trials, far too close for effective action to avoid collision. "You don't have time to react," Wallace said in an interview. "Unfortunately, see and avoid is all we have." Further research, though inconclusive, suggests strongly that strobe lights do little if anything to make drones more visible to manned aircraft during daylight. The size of the unmanned aircraft and limits of human optical perception both factor in making drones effectively invisible to almost any manned aircraft, almost certainly so to fixed-wing pilots. Only a slow-moving helicopter stands a reasonable chance of seeing and avoiding a drone, and the high workload and unique demands of low-altitude operations also work against manned helicopter pilots, who have made no secret of the fact that drone pilots simply cannot expect their tiny aircraft to be seen. Duke offered suggestions for improving the proposed new regulation for nighttime operations under 14 CFR Part 107. "We believe additional lighting equipment to be necessary for the sUAS operator to maintain situational awareness. Human factors research is clear that detecting relative motion, such as determining an approaching manned aircraft, can be more challenging at night than during the day," Duke wrote. "At night, even with the sUAS equipped with anti-collision lighting, we remain concerned whether a pilot in a manned aircraft will be able to recognize and avoid a collision with an sUAS. An sUAS is likely to disappear amongst city or country background lighting." Duke wrote on AOPA's behalf that so-called "non-cooperative" aircraft, typically older or smaller airplanes not equipped with transponders or Automatic Dependent Surveillance-Broadcast Out capability, will continue to share the airspace for years, perhaps decades to come, and any system that increases their see-and-avoid burden is set up to fail. Instead, the FAA should leave that burden on remote pilots and drone makers, leveraging technology when possible but also establishing some degree of operational segregation, such as maintaining the current 400-foot altitude limit for drones, and the current 87-knot sUAS speed limit, since collision risk increases with velocity. "Stand-off distances integrated into sUAS aircraft via voluntary technology, combined with operator education and common-sense regulations, will mitigate the risk of an accident as the number of sUAS operations increase," Duke wrote. "We believe the FAA should be careful to not take a reactionary approach and curtail UAS operations or overregulate this emerging aviation industry. The operational and policy dictated reaction must be commensurate with the threat... We believe the FAA should enact performance-based rules to account for different technological solutions, like detect and avoid, that are shown to be equivalent or better than human performed see-and-avoid." As the FAA ponders allowing more advanced unmanned operations including flights beyond the pilot's visual line of sight (expected to be the subject of a future proposed rule once a system of remote identification and tracking of drones is established), there is disturbing evidence that at least a few remote pilots are already flying beyond the current limits. Wallace was among the authors of a study published recently for which researchers collected drone telemetry data and determined that 5 percent of small unmanned aircraft flown over the course of the study period were flown so far from their launch point that it would be impossible for a ground observer to see them. AOPA views education of all airspace users as critical to safe integration and noted that technology has many limits. "We do not believe the see-and-avoid requirement for UAS operators can be accomplished solely on the reliance of general aviation aircraft having a transponder or ADS-B. From both the manned and unmanned perspective, there should be concern and caution regarding overreliance on cooperative systems for detecting nearby manned aircraft," Duke wrote. "Not only will engine-driven general aviation aircraft not necessarily be equipped, but ultralights, gliders, birds, and other obstructions will occupy the airspace. It is important technological solutions are fielded that account for non-cooperative aircraft and objects, and the philosophy of cooperative deconfliction should be relegated to the minority of special cases." Current detect-and-avoid technologies being tested include drone-mounted microphones, cameras, and radar, and many experts believe a robust and reliable solution will involve some combination of these approaches, along with software-imposed limits on where drones can fly known as "geofencing," which relies on GPS. "This is a critical technology that has been integrated into flight control systems, navigation, geofencing, ADS-B, etc., such that it becomes a single point failure that could lead to disastrous results," AOPA noted with regard to GPS. "The FAA should engage with UAS users and the government agencies that conduct GPS interference events to educate and determine any necessary mitigations." AOPA also urged the FAA to remain agnostic about which technology is used in a given drone, and focus requirements on performance-based standards that apply to all: "We do not believe that a single manufacturer's limitations should negatively affect the entire industry. 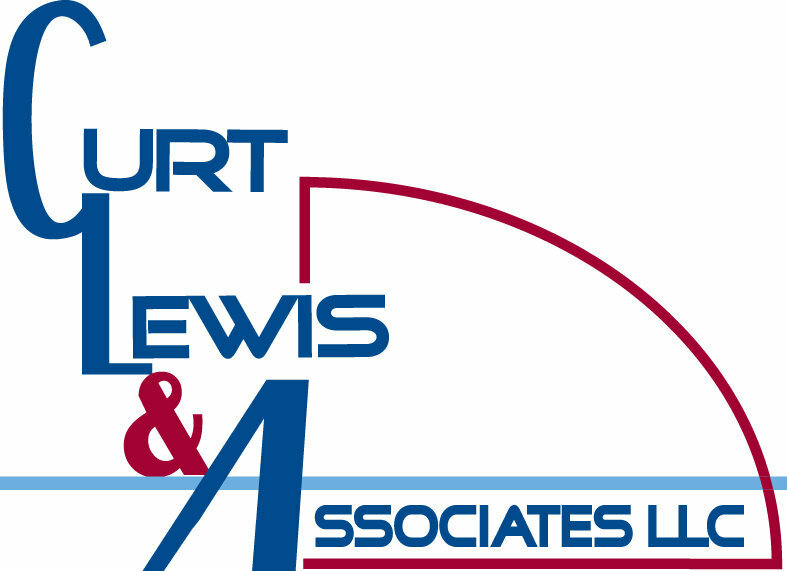 Regardless, the FAA must ensure restrictions are in place to ensure manned aircraft are adequately protected from a midair collision with a UAS." Congress repealed in October a law that had previously limited the FAA's freedom to regulate noncommercial drone use, and the Special Rule for Model Aircraft established by the FAA under that former law was effectively scrapped in April. Recreational drone users are required to register their aircraft (if the aircraft weighs more than .55 pounds) and follow additional rules, including the 400-foot altitude limit that was previously a guideline for noncommercial drone flyers. Additional rules will eventually be put in place to mitigate risks posed by recreational operations, though the current rulemaking applies to Part 107 operations only. The FAA envisions allowing commercial drone operations to venture farther afield in the future, and new products and technology are being developed almost daily. A Swiss rescue organization's autonomous, helicopter-style drone is but one of dozens of examples. Scaling such beneficial uses up will require more than detect-and-avoid technology-it will require an air traffic management system similar to the current network of radar, air traffic control facilities, and air crews who coordinate thousands of flights each day. NASA is leading an effort to develop a traffic management system for unmanned aircraft that is analogous to the systems currently used to assist in the safe separation of manned traffic. AOPA cautioned that this unmanned aircraft traffic management (UTM) paradigm must not require manned pilots to participate in an operational sense, though collaboration on system development should increase. "We believe it would be premature to implement UTM without further collaborative work with manned aviation. The UTM system must be transparent to general aviation and ensure manned operations are not required to participate," AOPA wrote. "Manned aviation already operates in an air traffic management system managed by FAA, military, and contract air traffic controllers. It would be confusing and onerous to impose a new system on general aviation aircraft that fly at low-altitude. There should be no expectation that manned pilots will need to review UTM information before flight." Many AOPA members are among those who enjoy flying a drone purely for fun, and should not be forced to participate, Duke added. "Hobbyist sUAS operations will continue under visual line of sight operations and are not going to be at the volume of commercial operations, so we do not believe it should be necessary for recreational sUAS operators to need to participate except from an advisory or voluntary standpoint." While drones have proliferated in recent years and sales of these inexpensive aircraft continue at a brisk pace from big box stores and online retailers alike, documented collisions between manned and unmanned aircraft remain rare. Notable exceptions include a U.S. Army Black Hawk helicopter colliding with a small quadcopter over New York in 2017, a case in which the untrained operator flew far beyond line of sight; a hot air balloon was struck by a drone over Idaho in 2018, also a case involving an inexperienced operator who lost sight of his aircraft. In these cases, and a handful of other reported collisions, there was no injury or loss of life, though the potential has been established by FAA-sponsored research that used computer models to simulate a range of possible collisions, some of which resulted in potentially catastrophic structural damage to the manned aircraft. AOPA continues to support education and training, a methodical approach to expanding operational limits for drones that keeps safety squarely in focus, and avoidance of onerous requirements including monopolization of UTM by any one company that would make participation unnecessarily expensive for hobbyists and remote pilots. "AOPA seeks to protect the freedom to fly for everyone who loves to fly, regardless of the aircraft they choose," Duke wrote. "We are actively working to safely integrate UAS operations within the NAS by ensuring that these pilots have the appropriate level of aeronautical knowledge." A former employee of a Chinese airline pleaded guilty Wednesday to acting as agent of the Chinese government for smuggling packages on flights from New York on behalf of the country's military. Ying Lin, a naturalized U.S. citizen from China, transferred packages from Chinese military officers assigned to the country's United Nations mission in New York onto planes flying to China. The packages were listed as unaccompanied luggage or falsely listed under the names of passengers on the flights, breaking U.S. air safety rules that require checked baggage be accepted only from ticketed passengers, prosecutors said. "This case is a stark example of the Chinese government using the employees of Chinese companies doing business here to engage in illegal activity," Assistant Attorney General John Demers said in a statement. "Covertly doing the Chinese military's bidding on U.S. soil is a crime, and Lin and the Chinese military took advantage of a commercial enterprise to evade legitimate U.S. government oversight." Lin worked for an international air carrier headquartered in China as a counter agent at John F. Kennedy International Airport from 2002 to 2015, then moved to Newark Liberty International Airport where she was a manager for the airline until April 2016. 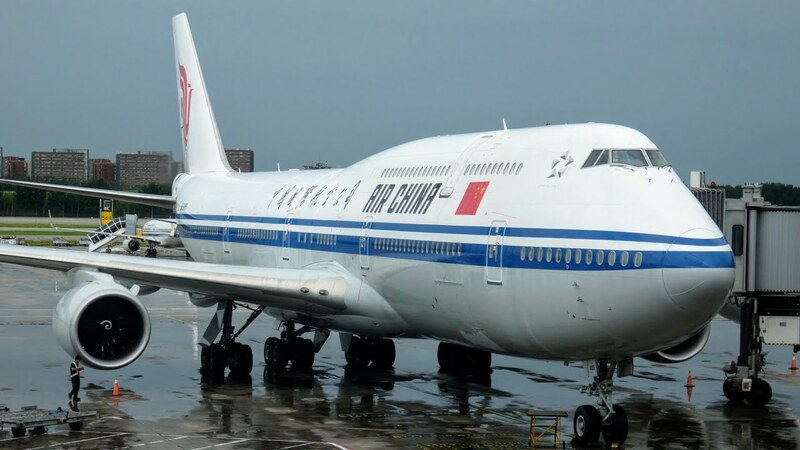 Prosecutors did not name the airline, though Air China is the only Chinese airline that services both airports. In exchange for getting the packages on flights, Lin received tax-exempt purchases of liquor, cigarettes, and electronic devices, which prosecutors said were worth tens of thousands of dollars. Chinese construction workers, who were only permitted to work at government facilities, also did free work at her two residences in Queens. She faces up to 10 years in prison. Many college students struggle with the balance of going to class and having to work to pay for their education. Rather than waiting until after graduation to start making money, students in the UAA Aviation Degree & Airline Pilot Employment program can now start working while finishing their education. On Wednesday, UAA and Ravn Air Group announced the launch of a new program that allows students to simultaneously complete their aviation degree and work as regional airline pilots. "The uniqueness is that the pilots come to us already qualified, but they are not yet finished with their undergraduate," Ravn Senior Vice President of Flight Operations Deke Abbott said. "So they get credit for their undergraduate degree, while at the same time earning a living as a new commercial pilot." The program is a win-win for Ravn and for the students, UAA Director of Aviation Technology Paul Herrick said. "The employment component is the different element of this, which we are really excited about," he said. "Because students do want to get out and start making money, and start advancing their career with an actual air carrier." UAA's aviation maintenance, piloting and air traffic control programs have been in place for nearly three decades and have supplied the aviation workforce in Alaska, Herrick said. In year's past, piloting students would also land jobs with local commercial air companies but there was a gap between hours spent in the air and getting the graduates off the ground on their own. With a nationwide shortage of pilots, the new program with Ravn will help students earn their flight hours and already have them in the cockpit of a small commercial plane by the time graduation rolls around. "They have a job," Abbott said. "They are earning money which would be, for anyone in college or anyone period, is a good thing." The stipulation to the program is that the students must stay in college and graduate. The students cannot discontinue their education once they get a job with Ravn. "That's not the intention, that's not how it works," Abbott said. "If they were to decide to leave the university, they would leave without enough credits to graduate. By staying in the program, they get the credits by flying with us, credited towards their degree. So it's designed to make sure they complete their degree to graduate." The program is also designed to help Alaskans start working faster and stay in the state. "Getting more Alaskans to come work for our company and stay in Alaska with their friends and loved ones is exactly what we want," Ravn President & CEO Dave Pflieger said. "We want more people here, we want to create more jobs in Alaska and partnering with UAA, finding men and women interested in aviation is awesome." Students can enroll in the UAA and Ravn pilot training program by calling Ravn and going through the interview process. 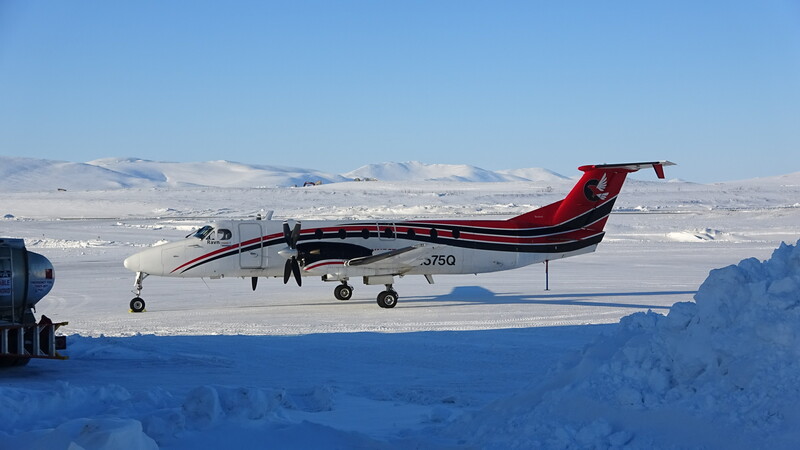 Once they complete the program, they will be added to the Ravn pilot seniority list where they will be eligible for salaries starting of $36,000 per year with $15,000 annual retention bonuses for a total of $51,000. Students will also earn reimbursement for the Air Transport Pilot and Certification Training program. The Mitsubishi Regional Jet is the first airliner built in Japan since the 1960s and can seat 88 passengers. HONG KONG * A new, long-delayed 88-passenger jet from Japan may finally be the right plane at the right time, as more cities in Asia and Europe are seeking to link up with one another and the global air travel network. The Mitsubishi Regional Jet (MRJ), the first airliner built in Japan since the 1960s, began certification flights last month in Moses Lake, Washington, to satisfy that demand. Mitsubishi Heavy Industries' new airliner is testing the skies just as rivals are moving to sell off their manufacturing operations for jets with up to 160 seats. Boeing is set to buy 80 per cent of the Embraer's commercial operations in a joint venture, while Bombardier last year sold control of its C Series airliner project to Airbus and is exploring "strategic options" for its regional jet operations. At stake particularly in the market for jets with fewer seats is US$135 billion (S$183 billion) in sales in the two decades until 2037, according to industry group Japan Aircraft Development. 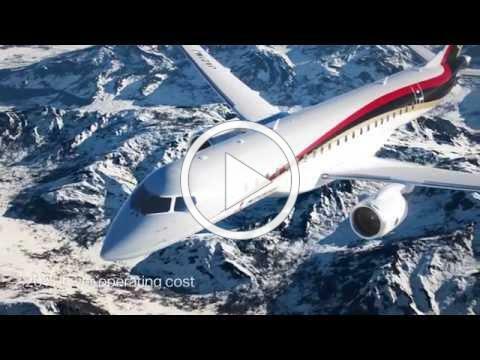 "Bombardier's moves do indeed create opportunities for the MRJ," said Mr Richard Aboulafia, aerospace analyst at Teal Group. "It's the biggest single factor in the MRJ's favour." With few seats and smaller fuselages, regional jets are a different class of aircraft from larger, narrow-body planes such as Boeing's 737 or Airbus' A-320. The MRJ has a range of about 3,219km, while a smaller variant can haul up to 76 people for about the same distance. A long-time supplier of aircraft components to Boeing, Mitsubishi Heavy is developing the MRJ to emerge from its customer's shadow. After spending at least US$2 billion over more than a decade, the manufacturer is looking to get its jet certified and start deliveries to launch partner ANA Holdings. Mitsubishi initially planned test flights in 2012 but blew past that deadline because of production difficulties. The company, which makes ships, nuclear power plants and aerospace components, expects to have the plane ready for customers next year, a timetable that will test the company, said Mitsubishi Aircraft president Hisakazu Mizutani. A lot now hinges on Mitsubishi's ability to get the jets ready on schedule, said analyst Sho Fukuhara of Jefferies Japan, who said the firm's current 407 MRJ orders are not enough to make the programme profitable. "Longer term, there should be an opportunity. But right now, they have to deliver the very first plane. Potential buyers are looking at how they proceed with their schedule." The company announced last October that it was pumping an extra 170 billion yen (S$2.1 billion) in capital to its aircraft unit's existing capital of 100 billion yen. Mitsubishi also cancelled 50 billion yen of the debt owed by the aircraft division. Mitsubishi Heavy is not the only Asian manufacturer betting that it can build aircraft more cheaply and efficiently. Commercial Aircraft of China, also known as Comac, has a new regional jet in service, while Korea Aerospace Industries is studying whether to develop a 100-passenger aircraft. "The aviation market in Asia is expected to grow further in the coming years and there will be demand for these aircraft," said analyst Lee Dong-heon of Daishin Securities in Seoul. "The shift in the regional aviation segment we have seen over the last year or so has opened up opportunities." In order to compete, Mitsubishi cannot just rely on its home market. The biggest customers, therefore, could be in the United States, where large airlines try to cut costs by outsourcing short flights to smaller carriers that fly regional jets. Trans States Airlines, which operates flights for United Airlines under the name United Express, ordered 50 of the planes, with options for 50 more, in 2010. As part of its preparations to ramp up deliveries and support operations, Mitsubishi's aircraft unit separated its sales and marketing divisions this month, created a customer support unit and moved its US headquarters to Renton, Washington, the Seattle suburb where Boeing assembles its 737 jets. My name is Catherine Troyer, and I am a graduate student in aviation management working with graduate student Alyssa Harvey and Professor Brian Dillman at the School of Aviation and Transportation Technology at Purdue University. We are seeking your input on reference usage for studying flight maneuvers in this survey. Loss of control in flight is one of the main causes of aviation accidents.This survey is part of a research project which explores the connection between the flight training process and preventing loss of control accidents.We expect that the results obtained from this study will be used to advise the FAA of possible changes to the Commercial Airmen Certification Standards and other training resources and improve the safety of general aviation for future generations. The first part of the survey asks demographic questions, most of which are optional. The second part of the survey asks questions pertaining to the use of references when learning or teaching flight maneuvers.Please consider taking this survey if you are working towards or have already obtained your FAA Commercial Pilot's Certificate, are a Certified Flight Instructor of commercial students under the Federal Aviation Administration, develop training resources for a flight school, or help write government publications. The survey should take under 15 minutes to complete and consists of12 to 15 questions. Once you begin the survey, you can stop at any point and continue where you left off later. We will report results in aggregate. This survey is part of a Partnership to Enhance General Aviation Safety, Accessibility, and Sustainability (PEGASAS) Center of Excellence research project evaluating resources for flight certification preparation. You are under no obligation to participate in this survey. If you do participate you may stop at any time and for any reason. Your answers on the survey are anonymous and cannot be used in any way for identification. Any results we report will be in aggregate.You must be at least 18 years old to participate in this survey. Helicopter Association International (HAI) is dedicated to providing its members with services that directly benefit their operations, and to advancing the international helicopter community by providing programs that enhance safety, encourage professionalism and economic viability while promoting the unique contributions vertical flight offers society. HAI has more than 3,800 member organizations and annually produces HAI HELI-EXPO®, the world's largest trade show and exposition dedicated to helicopters. Overview:The Deputy Director of Safety is responsible for supporting the association's existing aviationsafety programs and developing new safety initiatives to benefit HAI's membership. 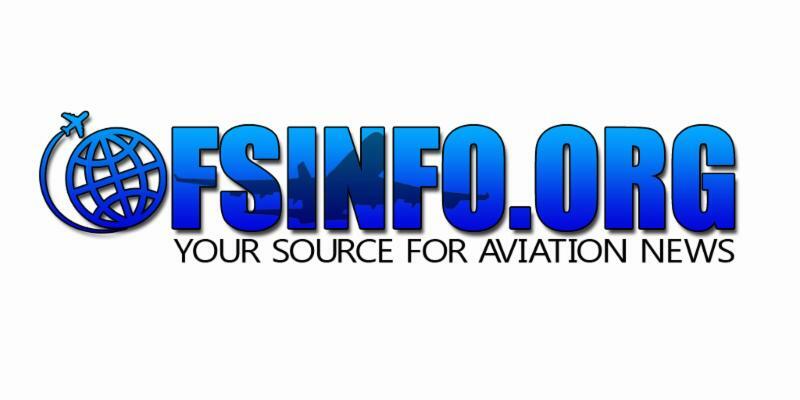 Flight Safety Information(FSI) Newsletter has been publishing timely aviation safety news for over 25 years. FSI has over 100,000 readers and 65,000 aviation subscribers on a globally basis.